Registering With The Federal Reporting Council of Nigeria. I Think It's A Must For Business Owners. We got a project from a big client, to train their staff on Power BI. Everything went smoothly till the procurement officer at the company asked for two additional documents. It was the first time we would be asked for those documents: three years audited financial statements and our income tax clearance certificate. The audited financials was a totally new one for me, but the tax registration one was a common one. We usually provide evidence of tax registration and payment. But the procurement person here wouldn't accept our other tax documents, it must be Income Tax clearance certificate. Luckily, it is exactly 3 years now since we started business. 2014, 2015 & 2016. So we decided to do the audited account for all the years of our operations. And it has been a big eye opener. The accounting firm handling it was very professional about it and even helped us put in proper processes going forward in our company financial matters. So now, I would have to get monthly salary. No more helping the company with my personal funds without recording them. No more paying for official expenses from personal account (I still find it easier said that done, but at least I recognize the need for proper account reconciliation monthly or frequently). Today, I finally got the audited copy of our financials, each year separately. Another need arose. 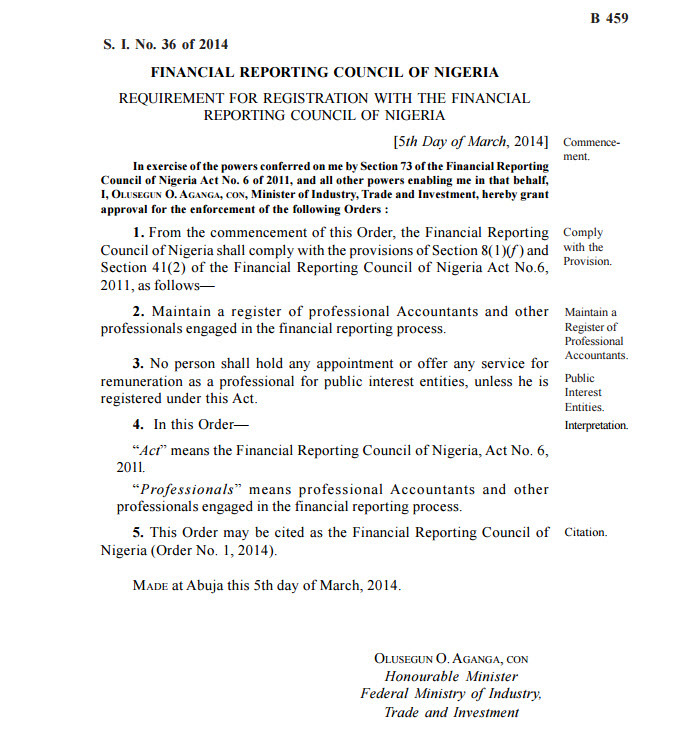 By law the two directors must be registered with FRC (Federal Reporting Council of Nigeria). Again, it's one of those bump-into-it-before-you-know-it-existed thing I have gotten familiar with in running a business legally in Nigeria. The company has two directors as its founders -- my dad and I. So I went to look up the registration process. 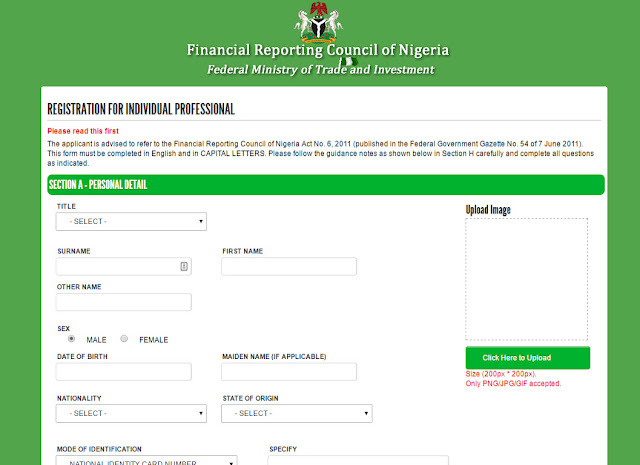 Luckily, FRC has done a very nice job of making the registration process documented on their website: https://www.frcpay.com/professionals and http://www.financialreportingcouncil.gov.ng/registration/ I just have to decide which qualifying professional body to join. Or will my Microsoft Certificate work? Always file your VAT monthly, whether you made sales or not. (The penalty can be bloody, it piles up in a crazy way). BTW, if you didn't make sales just fill NIL and won't pay anything that month. After the year, file your annual returns with CAC. You will notice I haven't included PAYE tax. I am still figuring out how to do that properly. So far everyone has been engaged on a consulting term and we don't bear their tax burden. But for me, at least, I have to start taking a regular salary and remitting PAYE tax. What I have is the indirect tax evaluation one that independent consultants have. I am glad though that I am fixing them all gradually. I will provide you with updates as I progress. That is a good information and in respect of the PAYE Tax, If you won't mind I can be of help(free of charge). Wow! That would be cool! Will reach out to you. Just seeing this. Been off the comments section for a few weeks. i now seem to understand why we always get a low rating on the 'Ease of doing Business' ratings. To register a company, you need to show evidence of competency or professional qualifications in the subject matter. to be able to legally present audited accounts, you register with FRCN. To register with FRCN, you have to belong to any of 66 professional bodies (and i cant seem to find one that fits my interests). At the rate we are going, Steve Jobs, Bill Gates and all that dropped out of school to start fantastic companies would not have been able to do business in Nigeria! How do we go forward from here? It's even worse than I wrote here. I finally joined Nigeria Computer Society (NCS) based on the information on the FRC website. But upon going to their office for registration after paying for form, I was told NCS was not established by a legislative act. Then why include it on the website? No answer, maybe the officials don't even know what's published on their website. 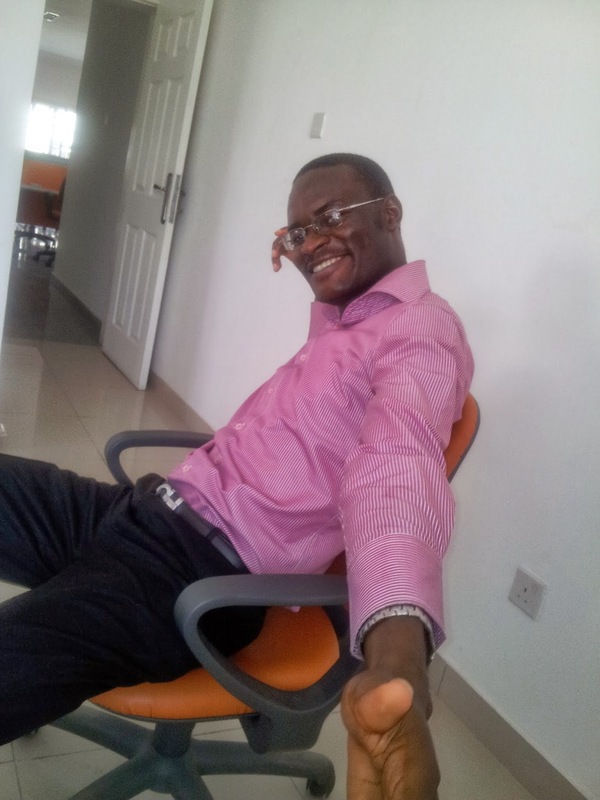 So I decided to give Computers Professionals Council of Nigeria (CPN) a try. After paying and almost done with the registration, I was told that because I finished NYSC in March 2011 and not December 2010, I would have to fork out over N300,000 extra to take classes on computer appreciation and the likes before I can proceed to make the final payment of about N200,000 for associate membership, and another thousands of Naira for induction conference in Abuja. I was put off by the entire process: unreasonable exorbitant fees and trying to waste weeks of my time on useless outdated low-level training. I am now considering forfeiting whatever I have paid and check out Nigerian Institute of Management.